Resolve Digital Health is set to change the way cannabis is prescribed by physicians and experienced by patients with $5 million raised in a Series A round led by Aphria Inc (TSX:APH)(OTCQB:APHQF) and brokered by Canaccord Genuity Group Inc. This marks the next phase in the company's development with an upcoming California launch of their debut medical device system, Breeze. The technology behind the product has been in development since 2015, following an initial seed investment with CannaRoyalty Corp. 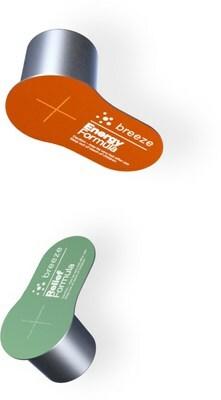 Unlike existing cannabis products, Breeze provides a more accurate, metered, treatment solution with pre-packaged, single use Smartpod™ filled with the highest quality cannabis buds or oil. The cannabis Smartpod™ is inserted into the Company's proprietary patent pending vaporizer. The patient experience is tracked through a mobile application with all data securely stored for sharing with doctors, pharmacists and other caregivers. "Patients have specific needs and clear expectations around how prescribed solutions should address their pain," Rob Adelson, Founder and CEO of Resolve Digital Health. 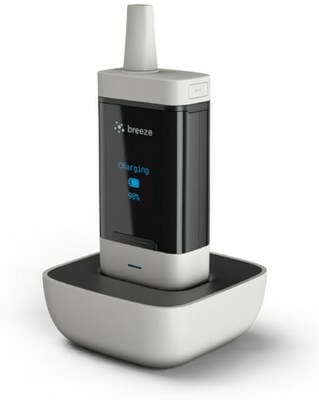 "The last couple of years have been focused on listening, researching, exploring, testing and ultimately ensuring that our solution is more than just another product option - Breeze represents significant advancements in the consistency, reliability and positive results within the patient experience." In recent years, growing awareness of the medical benefits of cannabis has spurred a rapid increase in the number of medicinal users. In Canada, the number of registered medical cannabis patients has increased five-fold in the last eighteen months, and by more than 2.5x in 2016 with a 76% increase in medical patients by March 2016 when compared to the same time just a year prior. By September 2016, there was a 26% increase in registered patients from the previous quarter alone. However, despite a dramatic increase in market awareness and acceptance, there remain numerous barriers to widespread adoption of cannabis as a credible, legitimate replacement or complement to pharmaceutical care. With limited clinical research to validate the respective efficacy of the over 750 strains available, combined with inconsistent physician knowledge of dosing requirements, creates a volatile environment where standardization is needed most. Resolve's standardized pre-packaged solution is a marked departure from the current unmetered solutions using unknown strains via uncontrolled delivery methods with no process or system to track or monitor dosage and usage. "The need to standardize and systematize the patient experience is part of an industry evolution that is ready to 'grow up' and get serious," said Vic Neufeld, President & CEO of Aphria. "We know that patients are seeing the benefits of cannabis. We know they are eager to see solutions appear that are truly medical - with more than just superior strains, but superior technology delivering patient relief." In Q4 2015, CannaRoyalty entered into an agreement with Resolve and acquired a 35% ownership position, thereby providing substantial seed capital and resources to support the research and development of Breeze. Over the past seventeen months, the partnership behind such a transformative technology continues to create significant mutual shareholder value between Resolve and CannaRoyalty. Following the completion of the Series A financing with Aphria, CannaRoyalty will maintain 27.2% of the existing Resolve shares on a non-diluted basis. "2016 was a landmark year for cannabis and we're just getting started," said Marc Lustig, CEO of CannaRoyalty. "Seeing the revolutionary strides made by the Resolve team over the last seventeen months has been remarkable to say the least - now we're ready and thrilled about this next phase as Breeze officially enters the market." With an initial product launch planned with exclusive dispensary partners in California, Resolve is committed to building a repertoire of patient success stories before rapidly expanding into additional key markets across the United States and Canada throughout 2017 and into 2018. About Resolve Digital HealthResolve Digital Health is the leading provider of standardized medical cannabis for patients suffering from cancer, arthritis, migraine headaches, chronic pain and other diseases. The company's proprietary technology and cloud-based health information platform found in Resolve's debut product Breeze addresses the numerous issues with currently available methods of cannabis delivery - establishing a standard of care and rigorous medical approach previously missing from the medical cannabis industry. With over two years of research and development, the complete product ecosystem will be initially available Spring 2017 in select dispensaries in the United States. For more information, visit www.resolvedigitalhealth.com. About AphriaAphria Inc., one of Canada's lowest cost producers, produces, supplies and sells medical cannabis. Located in Leamington, Ontario, the greenhouse capital of Canada. Aphria is truly powered by sunlight, allowing for the most natural growing conditions available. We are committed to providing pharma-grade medical cannabis, superior patient care while balancing patient economics and returns to shareholders. We are the first public licensed producer to report positive cash flow from operations and the first to report positive earnings in consecutive quarters. For more information, visit www.Aphria.com. CannaRoyalty is a fully integrated, active investor and operator in the legal cannabis sector. Our focus is to build and support a diversified portfolio of growth-ready assets in high-value segments of the cannabis sector, including research, consumer brands, devices and intellectual property. Our management team combines a hands-on understanding of the cannabis industry with seasoned financial know-how, assembling a platform of holdings via royalty agreements, equity interests, secured convertible debt and licensing agreements. For more information, visit www.cannaroyalty.com.